Help share the word for the next release! Post on your Facebook page, Twitter, and/or blog! 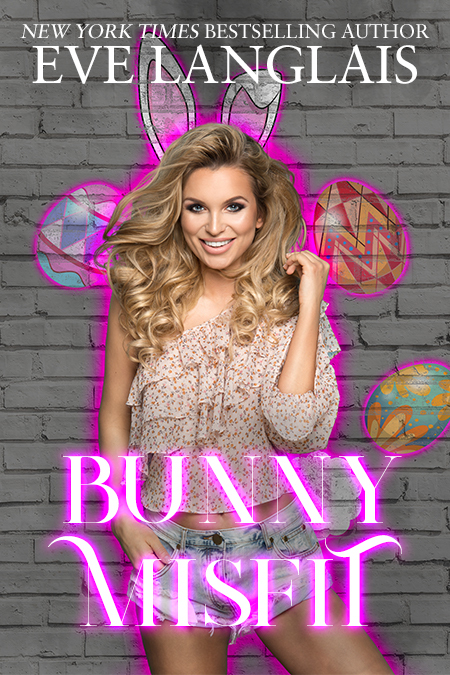 My name is Claire, and I am a bunny shifter who happened to be born in a pack of wolf shifters. Which, needless to say, didn’t go over well. Before the people I thought of as family made me their next dinner, I ran away, and I might have stayed away forever if my best friend hadn’t needed my help. Not me, I should add, because I’m a rabbit, not a soldier, but I am good at poking my cute little nose into places I shouldn’t and getting information. My mission is to locate the bad guys’ HQ so the cavalry can ride in and put a stop to it. What I didn’t expect was to run into an old crush of mine. A werewolf by the name of Derek who isn’t bothered at all by my large floppy ears. Lucky me, the only kind of nibbling he wants to do is the delicious kind. Before we can find out if a bunny can have a happily ever after with the big bad wolf, we’ve got to stay out of the clutches of some mad human scientists. 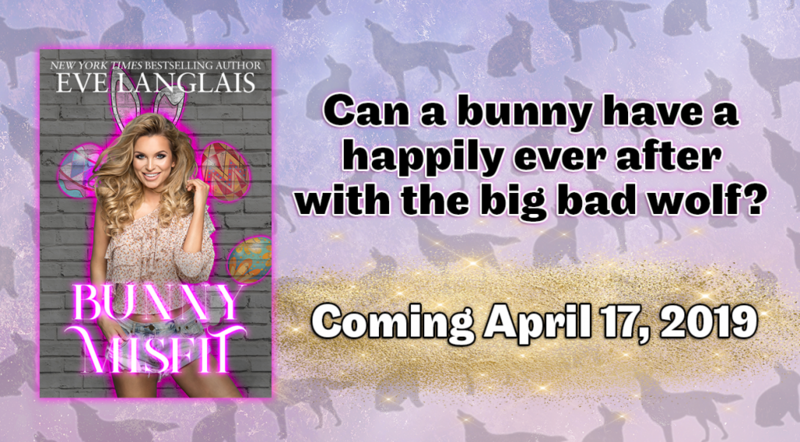 An all-new bunny shifter story from NYT and USA Today Bestselling author Eve Langlais! Out Today! 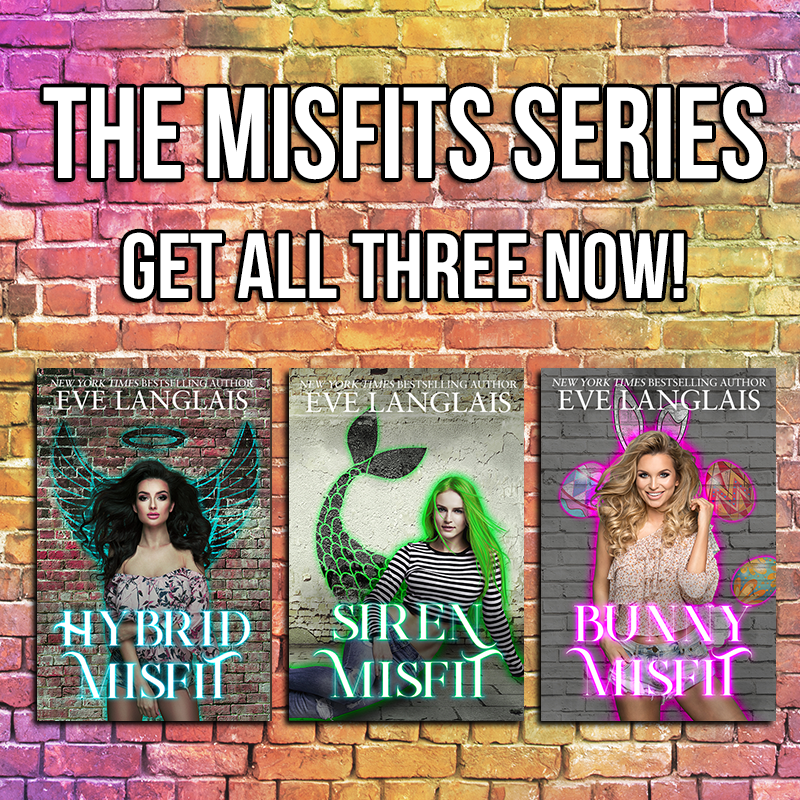 A completely new bunny story following Claire, friend of Beth and Lana of the other Misfit books! Fill out the form to request a review copy. Leave your name, blog/website, links to previous reviews for my books, and what file format you’d like. Please note that a request may not always result in a book.